This is a tasty summer dessert that you can customize easily. (Besides, how can you go wrong with sweetened condensed milk?) Instead of using red beans (azuki) as a topping, you can substitute fresh mango, kiwi, or strawberry slices, watermelon chunks, canned lychee… Anything that you think would go well with sweetened condensed milk, really! 1. 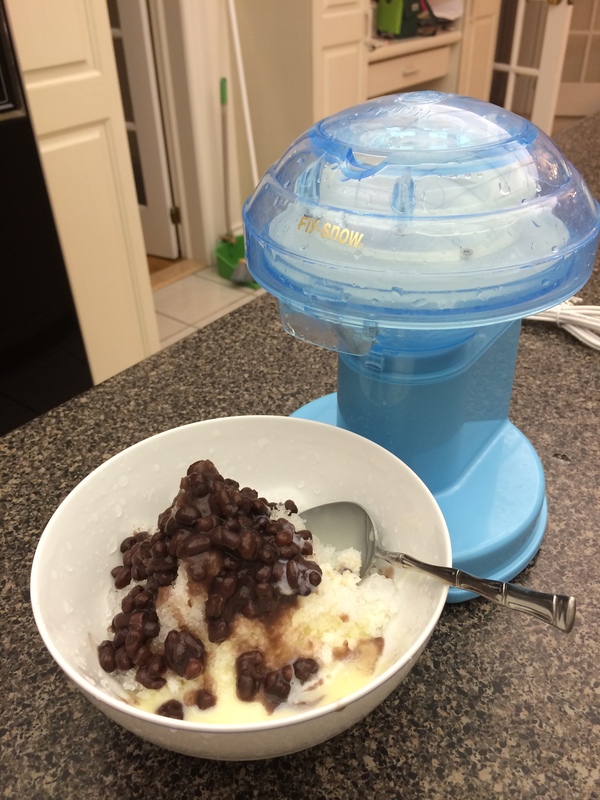 Use the shaved ice machine to grind up as much ice as you’d like. 2. Drizzle a few spoonfuls of sweetened condensed milk over the pile of ice. 4. Eat it before it melts!